Lakeside Retreat RV Resort needed a mail-out trifold to spread the word about about their new RV Resort. Before the trifold though, a logo, and illustrative map was needed. Working with the client, I crafted a custom logo that was simple yet very recognizable. I then worked to transform a technical line map into an illustrative map that could be used for advertising. 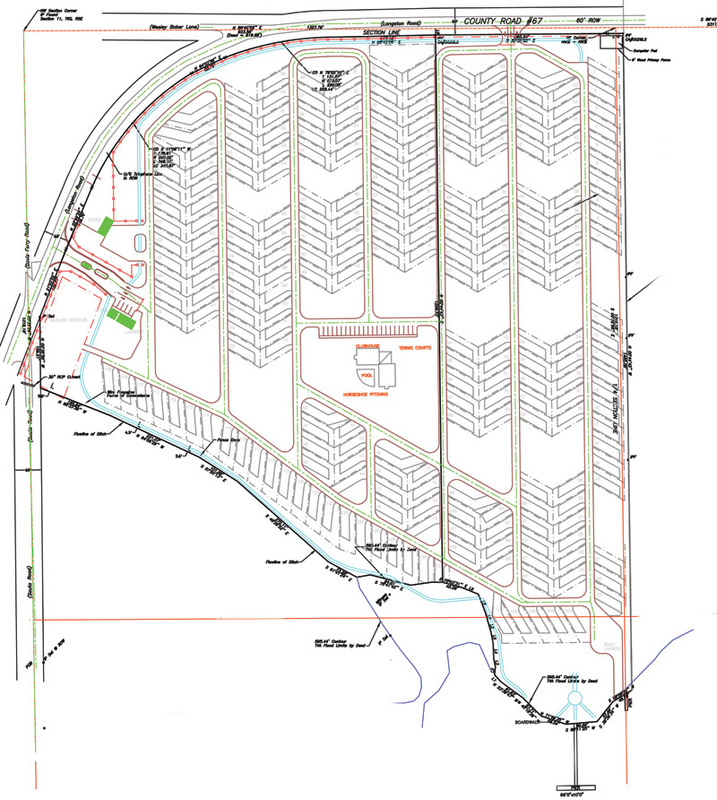 The line map I used as reference to create an illustrative map of the RV Resort. 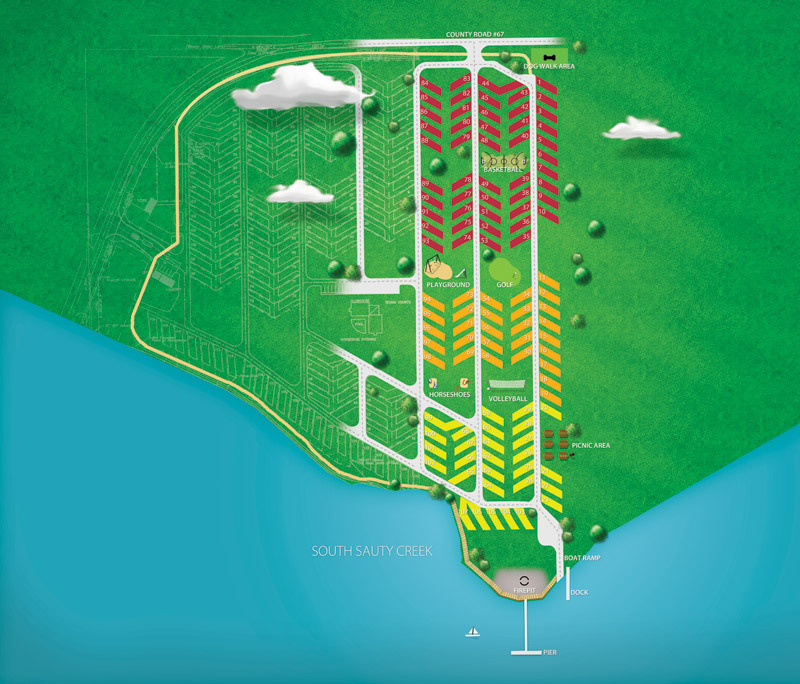 The finished illustrative map of Lakeside Retreat. 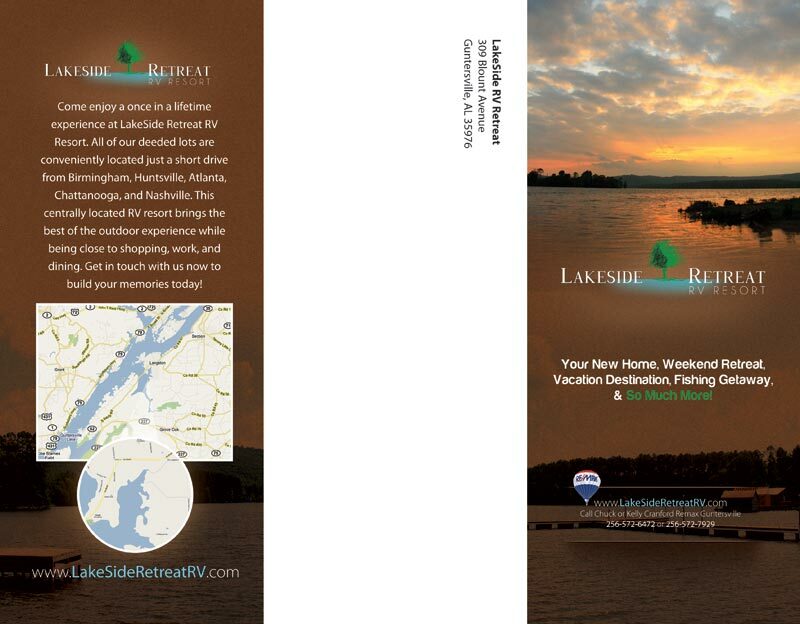 The outside of Lakeside Retreat's mail-out trifold. 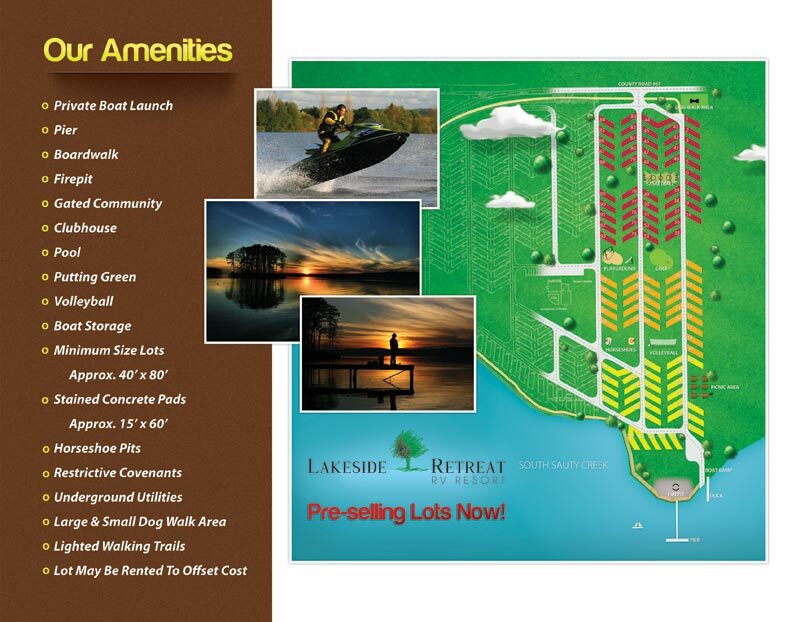 The inside of Lakeside Retreat's mail-out trifold.